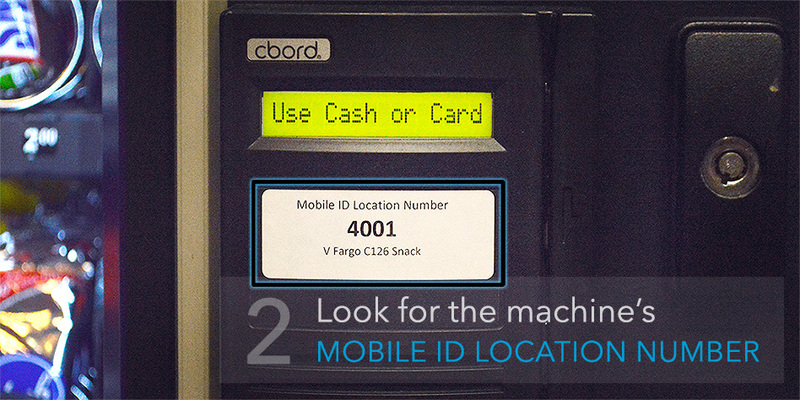 Most UB Snackin' vending machines are Mobile ID ready. 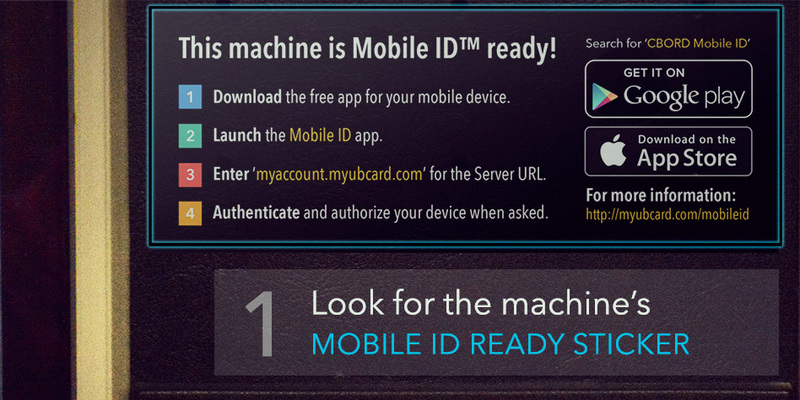 To confirm that the machine at your location is compatible with Mobile ID, look for the Mobile ID Ready sticker and its Mobile ID Location Number. Download the free app "CBORD Mobile ID" from your app store. Launch the Mobile ID app. Select “Enter URL” and type myaccount.myubcard.com OR select “Choose Server” and select University at Buffalo (CBORD Mobile ID). Then back out of the settings screen and swipe the card icon right to authenticate the device. iOS will skip this. Type in myaccount.myubcard.com OR press the drop-down arrow and select University at Buffalo (CBORD Mobile ID). You will be redirected to the UBITName Authentication. Enter your UBITName and UBITName password to continue. Press the green Authorize button. Optional: To use a PIN to unlock the app, you must allow Mobile ID to use your current location. Enter your 4-digit PIN if prompted. Swipe the card on the app. The app will generate a barcode. Show your cashier the barcode to scan. The vending machine will play a confirmation sound. Make your selection on the machine. The laundry machine will play a confirmation sound. Start the machine and load your laundry. As you continue to use Mobile ID, your favorite locations will be stored in the dropdown menu.